A request is normally reasonable if it does no alter or create an undue burden on the landlord or his property. For example, a property that does not allow pets might need to make an exception for a disabled person’s companion animal if the pet does not create an undue financial or administrative burden. Service animals are not the same as companion / support animals. “A pet or support animal may be able to discern that the handler is in distress, but it is what the animal is trained to do in response to this awareness that distinguishes a service animal from an observant pet or support animal.” See 75 Fed Reg 56193. Need help with evicting a tenant in Los Angeles? 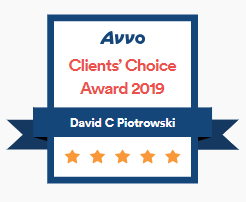 Contact the Law Office of David Piotrowski for assistance. This entry was posted in Evictions and tagged disability rental unit california, person with disability reasonable accommodation tenant, reasonable accommodation rental unit, tenant reasonable accommodation, what is a reasonable accommodation rental unit california tenant. Bookmark the permalink.